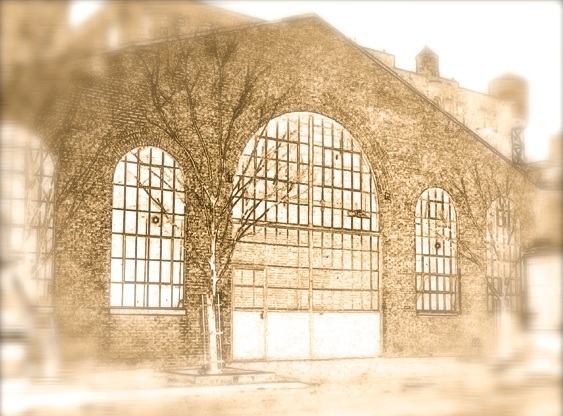 The Caldwell Factory™ was originally erected as a garage for Jno. Williams, Inc. and was designed by the architect Charles H. Caldwell. The structure replaced a row of six residential buildings that had been erected ca. 1850 after the lots were reclaimed from the Hudson River. Jno. Williams was a local manufacturer of ornamental brass and iron products whose factories stood immediately adjacent to the garage and were also designed by Caldwell. The building was initially intended to be built in 1912 for use by the North River Garage Company, but the structure was not completed until 1914, at which time it was leased to the Schwartz-Gaskell Corporation. The latter firm was established by two former officers of the Yellow Taxicab Company, which during the 1910s was one of the city’s largest such operations, and it is likely that the garage originally served New York’s earliest fleet of taxicabs. In 1948, the structure was sold to the Feidelson Trucking Corporation. The building remained an automobile garage until the 1990s, at which time renowned photographer Annie Leibovitz converted the building into the West 26th Street Studio. In 2005, the building was purchased from Leibovitz, lovingly restored and renovated into the former home of the famed Cedar Lake Contemporary Ballet Company. Today, The Caldwell Factory™ is one of New York’s premiere, exclusive special events venues.